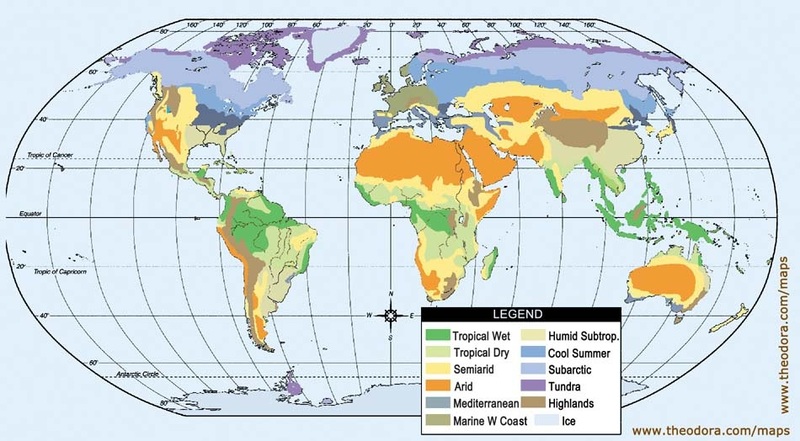 There are three major ecosystems that are arrayed from north to south- tundra, taiga, and steppe, as well as transition zones like the Forest-Steppe region. Click on the image below to put it in motion, you will see the monthly temperature map in animation. Use your browsers "back" arrow to return to this page. Click here to go to the Climate Project website.